**We are currently taking names for our wait list. This book is currently out of print, but the second edition is being produced now. I have not received a release date yet. 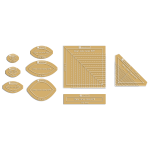 Our price will remain $25.99 unless the new edition has a different retail price. Please be patient. Contact us via email at Quilters.Express@yahoo.com to put your name on the list. Payment will be due once the book is in our hands. Nice examples of all 225 blocks in the Dear Jane quilt. There are also some lovely examples of non-traditional layouts. 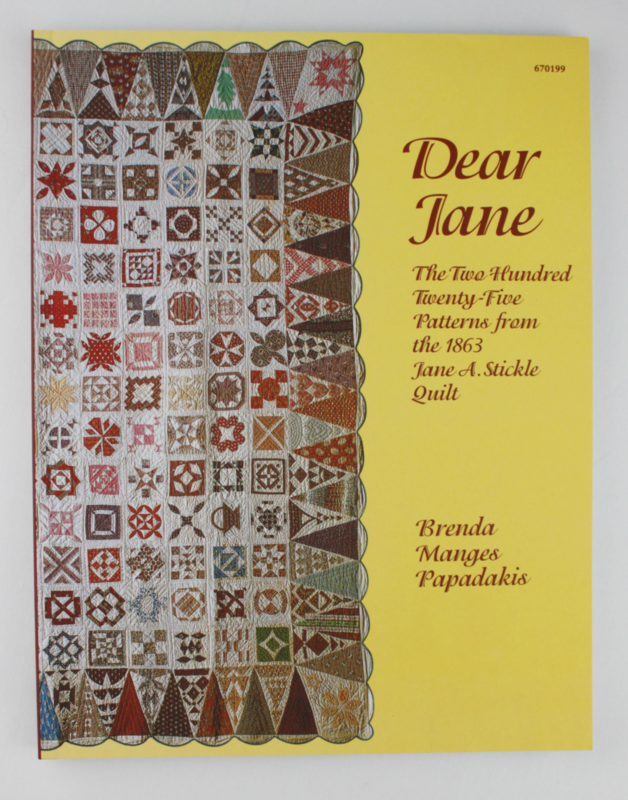 This book is required if you choose to use the Dear Jane EPP packages, but the Dear Jane EPP packages are not required to make the quilt. Poole's Preference: Take this book to a local print shop and get it spiral-bound so it lays flat for easier use.